I'm following up today with what GM Ip wrote as guidance to students of his beloved Wing Chun Kuen. GM Ip's Code of Conduct was philosopically written with the same intention as Yagyu Munenori's Heiho Kadensho. The Heiho Kadensho had one section named "The Life-Giving Sword". Munenori understood that the sword/swordsmanship could be used for killing but this same death-dealing instrument can be used to preserve life, hence "The Life-Giving Sword". GM Ip understanding Wing Chun Kuen's techniques could be used to hurt, wrote his Code of Conduct advising students who train WCK that there is a moral responsibility for this knowledge. This Code of Conduct can be seen hanging on the wall of the Ving Tsun Athletic Association (V.T.A.A.) in Hong Kong. 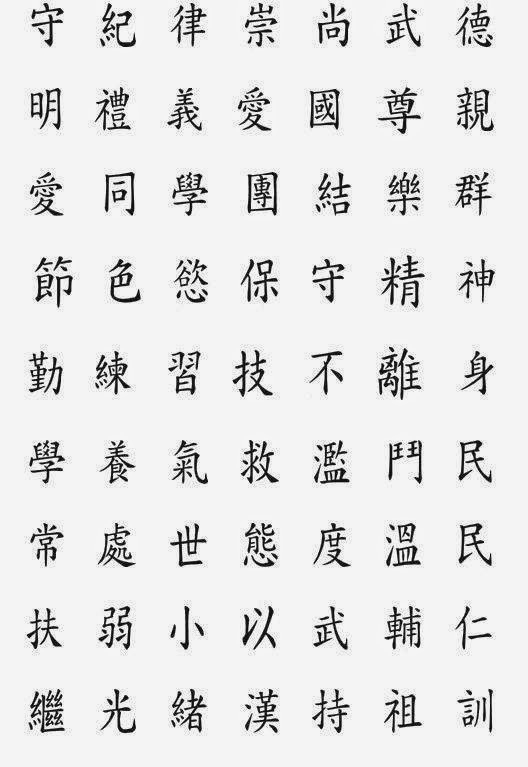 The following 9 pictures are courtesy of http://www.progressivewingchunmk.co.uk which includes the Cantonese romanization/pronunciation and one set of English translations. The top line of text (marked SK) is a translation by Samuel Kwok, originally published in his book Mastering Wing Chun: the Keys to Ip Man’s Kung Fu published with Tony Massengill in 2007. Generally speaking this is my preferred translation. The second translation (marked RH) is taken from Ip Ching, Ron Heimberger and Eric Myers, Ving Tsun Jo Fen: Expectations and Guidance from the Ving Tsun Tradition published in 2006. This is also a clear translation with some interesting readings of the text. Together these two different approaches provide a comprehensive look at the original. 6. (RH) Learn How to Keep the Energy: Quit Inciting a Fighting Attitude. 7. (RH) Always Deal with World Matters with a Kind Attitude that is Calm and Gentle. 9. (RH) Follow the Former Eight Rules: Hold to the Ancestors’ Rules Sincerely. There you have it, the late Grandmaster Ip Man and his Code of Conduct for Wing Chun Kuen students. By extension, it can be used for all of the Martial Arts. Martial Arts, like Religion, should have its own "Commandments". This is a pretty good set. Do you agree?